The horse evolved as a wandering herbivore, equipped with a functional cecum which permits utilization of fibrous feed to meet a significant proportion nutrient requirement in horse diet. Like all species of livestock, the horse has a daily requirement for carbohydrate, protein, fat, water, minerals and vitamins in horse diet. 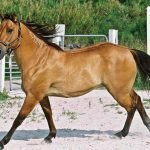 Protein should be high quality such that essential amino acids requirements are met and special emphasis is given to the availability of amino acid lysine in the young growing horse. Energy intake derived from the carbohydrate, fibrous, fat and protein fractions of the horse diet should be adjusted to maintain growth and body condition. The macro and micro mineral requirements of horse diet are met using a combination of the organic and inorganic source. The primary macro minerals are calcium, phosphorus, potassium, magnesium, sodium, and chlorine. The micro or trace minerals include selenium, copper, zinc, iron, iodine, and manganese with others added as local conditions require. Fat-soluble vitamins which include vitamin A, D, E, and K are present in the variety of feeds and are stored in the body. 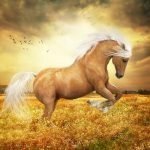 Water-soluble vitamins are not stored in the body and must be synthesized in the intestinal tract by the horse daily or be present in the horse diet. 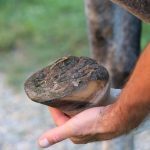 Understanding the basic principles of equine nutrition is essential to producing a sound and healthy horse. As a horse owner, you must have a clear idea about the horse diet and the nutrient requirement of your horse. 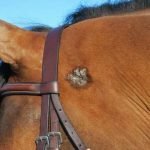 At the same time, a brief idea about the horse feed staff and their quality control measure is utmost necessary for proper management of horses. The major classes of nutrients in horse diet are water, energy, protein, vitamin, and minerals. 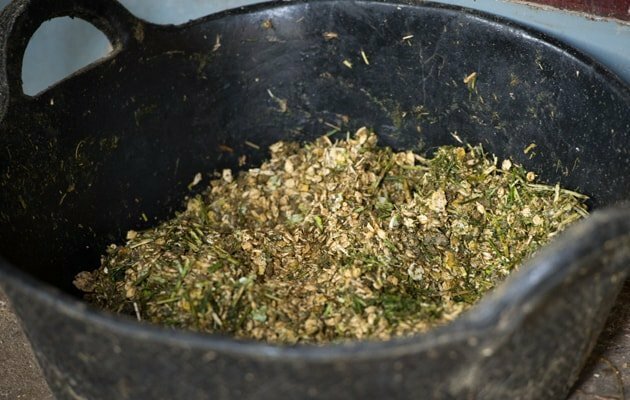 Your horse requires each of these nutrients in varying amounts for maintenance, growth, reproduction, lactation, work, and in some cases fattening. The concentration and amount of each nutrient required in horse feed depend on several factors including age, use, and condition of the horse. 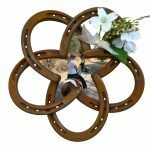 At the same time, you should have a brief idea on Horse Digestive System. It is absolutely essential that the horse has access to fresh, clean water at all times, bearing in mind that the body of the horse consists of 70-80% water. Water should always be fresh and clean and as safe as that consumed by humans. In a cool environment, a horse requires 42- 50 mi of water/kg of body weight per day. Work increases the horse’s requirement for water up to 300 % depending on the amount, duration and intensity. The optimum temperature of water for consumption is 7-18 degree Celsius. Protein is a predominant component of muscles, organs and other tissues in the body and is a critical part of the diet throughout life. Protein is composed of subunits called amino acids and totals 25 amino acids are available in horse diet. The protein content of horse feed is expressed as percent crude protein, which is determined by analyzing the nitrogen content. The source of protein in horse diet are mainly soybean meal and Linseed Meal. Energy is provided by carbohydrates, fats, and to a lesser extent, protein. The predominant sources of energy is a carbohydrate, stored in plants primarily as starch, which is digested in the stomach and small intestine and absorbed as small sugar. Cellulose, a plant structural carbohydrates, is another source and is digested by bacteria-derived cellulase in the cecum and absorbed as the volatile fatty acids – acetate, propionate, and butyrate. A list of macro and micro or trace minerals required by the horse in the feed are shown in the table. Calcium is the most abundant mineral within the body and is a major component of bones and teeth. During skeletal development, the cartilage of the skeleton is replaced by calcium in a process known as calcification and adequate dietary calcium is necessary to allow this transmission to occur. In addition to this role in skeletal development, calcium is required for muscle contraction, clotting of blood, and maintenance of acid-base balance. Calcium is present in higher concentration in forage in compared to grains. rations containing a large amount of grain are supplemented with dicalcium phosphate or ground limestone in horse diet to meet the requirement for calcium. Deficiency of calcium results in rickets or poor bone mineralization amongst young horses and osteomalacia or osteoporosis in adult horses. Phosphorus has a similar role to calcium and is an important component of bone. Eighty percent of phosphorus in the body found in the skeleton, the major bone mineral. In addition to its role in bone metabolism, phosphorus performs a vital role in energy metabolism as a component of compounds ATP, creatine phosphate, and inosine monophosphate. Organic or plant sources of phosphorus are not as readily absorbed as the inorganic source dicalcium phosphate and monocalcium phosphate. Deficiencies of phosphorus result in improper bone mineralization, leading to skeletal problems. 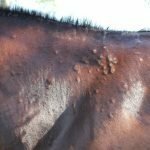 Inadequate phosphorus intake, especially in conjunction with high levels of calcium, may be one of the more important causes of epiphysis in the young horse. High intake of phosphorus, along with low calcium, may predispose to symptoms of nutritional secondary hyperparathyroidism. Because of the interrelated function of calcium and phosphorus, the ratio, as well as their absolute intake, is important. The total horse diet should never contain more phosphorus than calcium. Ideally, the ratio of total horse feed should be 1.2 – 1.7 calcium to 1.0 phosphorus. This ration is especially critical at marginal levels of intake, but less so at higher intakes of calcium and phosphorus. Provided phosphorus requirements are met or exceeded, the horse can tolerate higher ratios than mentioned above. Higher ratios frequently occur when legume hays such as alfalfa high in calcium are fed as the major roughage source in horse diet. Horse feed with a calcium/phosphorus ratios as higher as 3:1 have been fed to young horses and as high as 6:1 to mature horse without detrimental effects. When the ration falls below 1:1 that problems occur. A vitamin is defined as an organic substance required in small amounts for regulating various metabolic process in the body. Vitamins are classified as fat or water-soluble; the fat-soluble vitamins include A, D, E, and K, the water-soluble vitamins B and C. Fat-soluble vitamins are stored in the body to a much larger extent than water-soluble vitamins. The water-soluble vitamins are not stored to any appreciable extent and must be provided in the daily horse diet or synthesized. Most of the horses receive an excess amount of each vitamin in their feed. 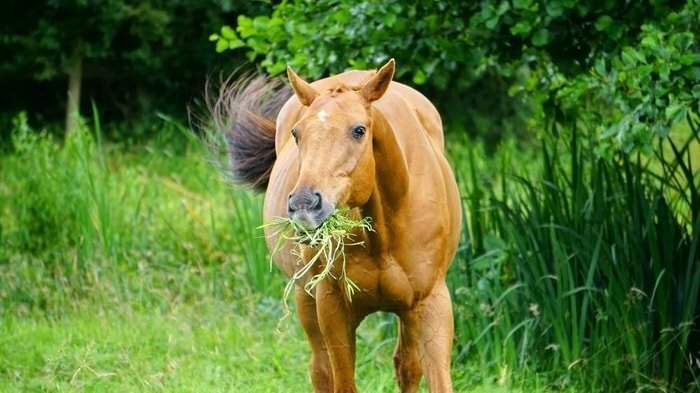 With exception of vitamin A, the horse at a pasture do not require supplementation. 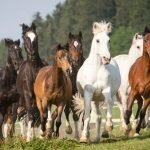 But for horses in heavy work, rapidly growing young horses and foaling mares, it may be necessary to add vitamins to horse feed. The protein sources for horse diet should be evaluated by the following criteria: total crude protein content, digestibility of protein, amino acid profile, availability, price, and content of nutrients other. The most widely used protein supplement is horse diet is soyabean meal, produced when the oil is removed from the whole soyabean during processing. Soyabean meal sometimes referred to as soyabean oil meal, is extracted mechanically, with solvents or extracted as full-fat bean meal. The predominant type used in horse feed is solvent extracted, which contains 44 or 48% crude protein depending on the number of soyabean hulls in the finished product. Linseed meal is produced in much the same manner as soyabean meal but is derived from flax seeds. Once a favorite horse owner as a protein source for their animals, linseed meal or flax meal is of less importance in the manufacture of modern horse feed. Linseed meal popularity is due to its high oil content which made it an excellent coat conditioner, similar to the way maize oil is used today. Cottonseed meal may be used as a protein source if it is low in gossypol. The toxin, gossypol, is inactivated to a large extent by heating, although this binds lysine to reduce the protein quality. Rapeseed meal currently does not make up a very high percentage of the protein supplements used in horse diet. Lupins are used extensively as a protein source in Australia and though lower in protein than soyabeans are an excellent source of supplemental protein. Other plant protein sources include sunflower meal, and peanut meal is rarely used because of their lower lysine content and higher cost. 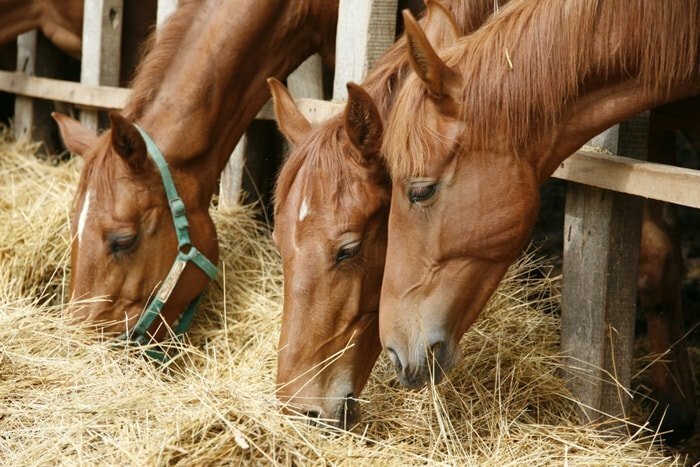 Animal protein source used in horse rations are milk products, fish meals, and meat and bone meal, but their use in horse feed is limited due to higher cost when compared to soyabean meal. Protein quality is generally good and so their primary use is in horse diet in young horses where protein quality is critical. Dried skimmed milk is included in foal milk replacer and creeps feed. 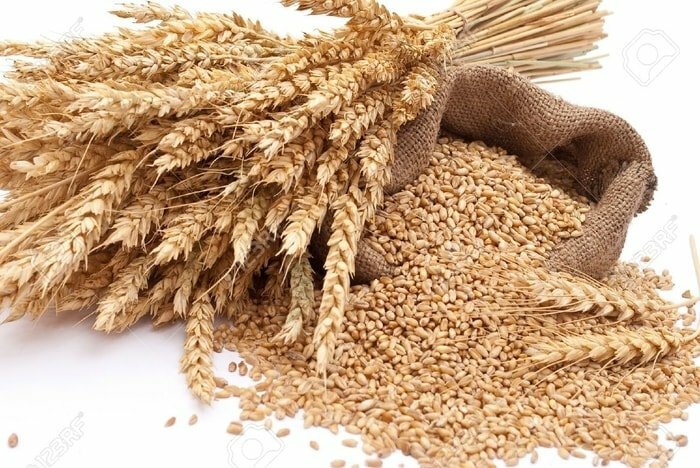 Cereal grains and cereal grain by-products are used extensively in horse feed primarily as sources of energy. Their energy density makes them suitable for supplementing forage when a forage horse diet alone is not capable of meeting a horse’s nutrient needs or when forage availability is limited. 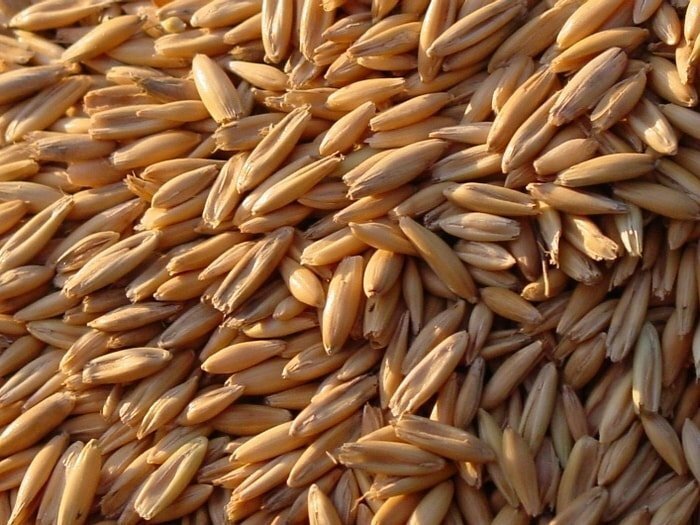 The major grains used in the formulation of horse feed are oats, corn, milo (sorghum), barley, wheat, and wheat by-products, and to a limited extent rye, spelt and triticale. By-products are an important source of nutrients in the manufacture of horse ration. 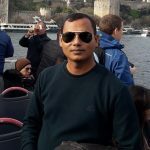 As a competition for cereal grains for human consumption increased the livestock industry is looking more carefully at by-product feeds in the formulation of horse feed. The maturity of the plant at the harvest has the most profound effects on the quality and suitability used as horse feed. As the plant matures the percentage of cell wall constituents including lignin, hemicellulose, and cellulose increases and cell contents such as soluble carbohydrates decreases. Forage stored for use as hay, haylage, and silage are either grasses or legumes or the mixture of two. 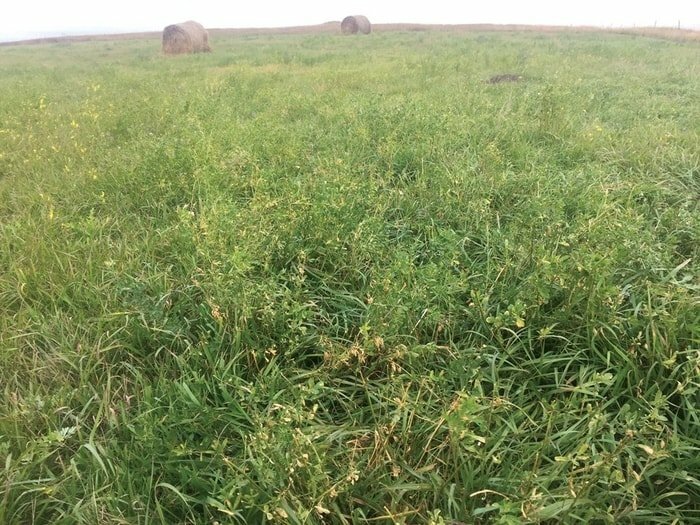 Legumes are higher in crude protein, digestibility, and calcium than grasses, and mixed grass-legume forage is intermediate in nutrient value. A greater quantity of legume hay can be harvested from a given amount of land and as a consequence good quality grass or mixed grass-legume hay is difficult to obtain in some areas. Grain mixes may be feed in a textured, pelleted or occasionally in an extruded form. However, the primary consideration is not the physical form but ensuring that the ingredients of high quality. There is a little difference in the feeding value whichever form it is presented in. 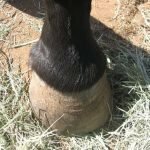 Textured horse feed is far and away the most common form of horse feed. 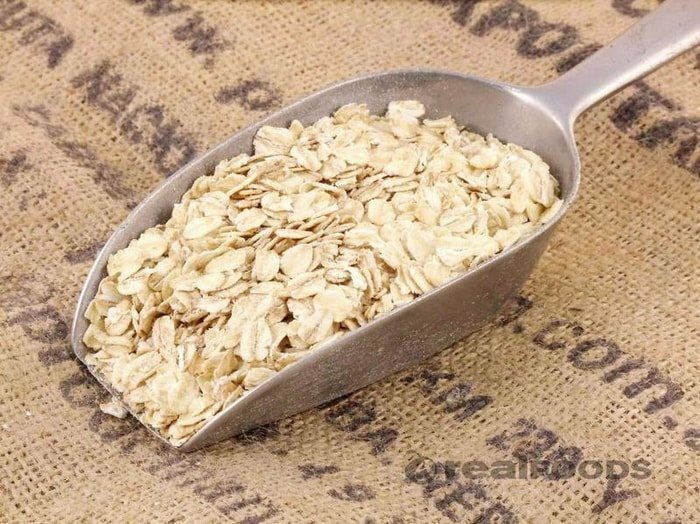 They consist of whole or processed grain with or without a protein-vitamin-mineral pelleted and are presented dry or with molasses added. In the USA horse rations are a commonly molassed or molassed-vegetable mixture with a preservative such as propionic acid. The textured feed is more readily consumed by finicky eaters, there is less possibility of choke and horses are less inclined to bolt their feed. Pelleted feed has greatly increased in popularity and is manufactured by grinding the ingredients and forcing them through a die to bind them together. Pellets are the form of choice if many finely ground ingredients such as wheat mill feeds are to be used or ingredients of questionable palatability are to be included. 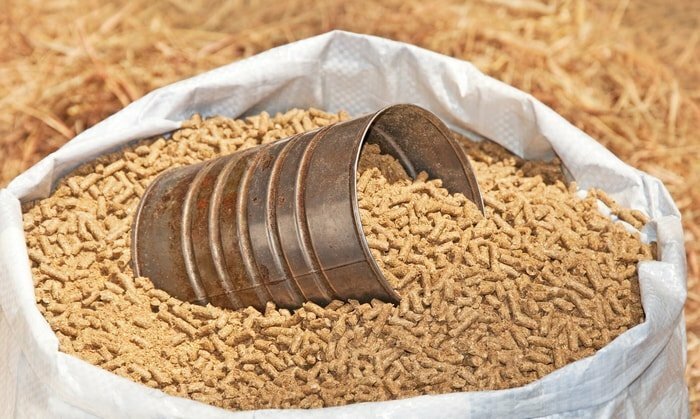 The advantage of pelleted feed over textured feed is that the horse nutrients are more uniformly distributed, there is less wastage and feed can be stored for longer period. Pellets are the safe, economical and effective way to feed horses. The considerable emphasis on quality ingredients and proper feed formulations is meaningless if the feed is not stored in a manner which preserves in its quality. The most important aspects in storage are keeping the feed dry. 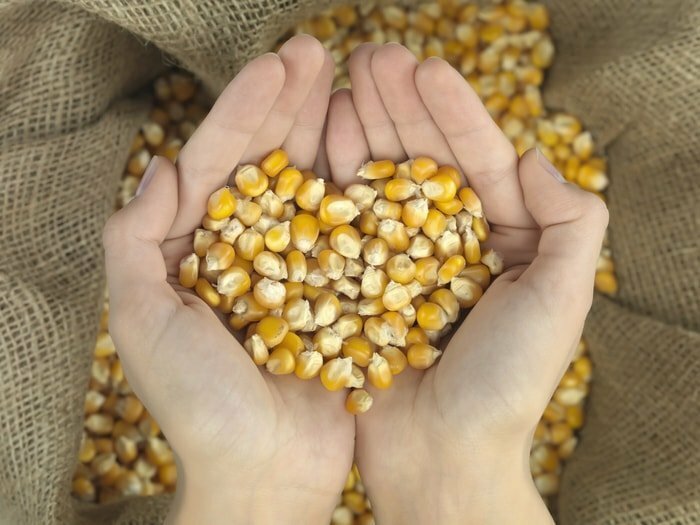 Moisture provides an ideal environment for the growth of molds, which are the biggest single detriment to feed quality. Feed should be stored in a cool, clean, dry area is protected from rodents, birds, and insects. Watertight grain bins are convenient for storing large quantities of bulk grain or pelleted feeds but are not appropriate for storing molassed textured feeds, which has a tendency to bridged or caked together. To prevent loss of quality the oldest feed should be used first. 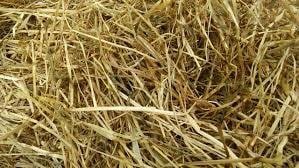 The requirement of storage of hay is the same as for grains or mixed feeds. Ventilation and airflow are important aspects, especially when hay is placed in the storage area. When stacking hay the first belt should be placed on the edge with the cut ends on the ground floor. This allows air to flow between the floor and the hay and facilitates drying. 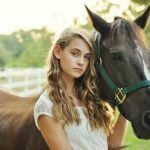 Horse feed is very important in proper management and care of your horse. Selection of ingredients of horse ration based on the nutrient requirement and availability in your area. At the same time, you will look in the cost analysis of horse feed. 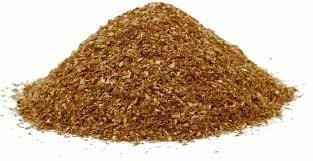 In my article, you will get a detailed idea on horse feed and its ingredient. If you are knowledgeable by the article please subscribe to our website and share via social media.